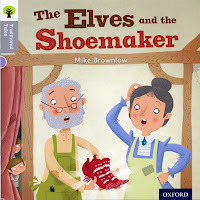 Home Illustration Illustrators Mike Brownlow Picture Book technique No line! 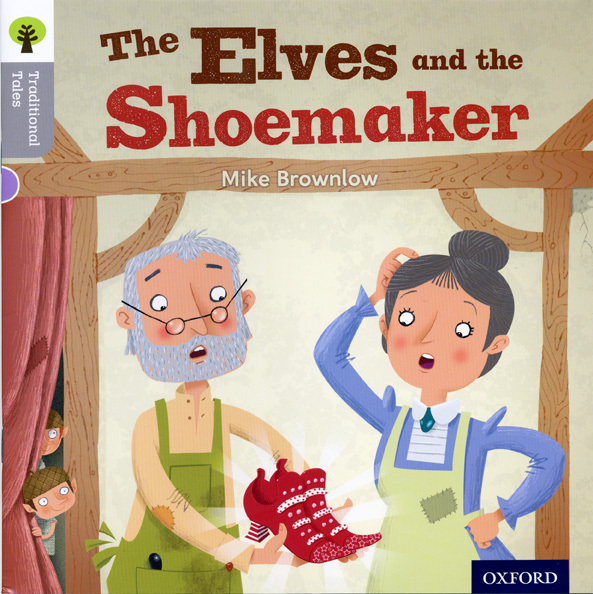 I've just received the proof copy of a book I wrote and illustrated for OUP earlier in the year -- a re-telling of the Elves and the Shoemaker. It was a bit of a departure for me in that I decided to do away with a holding line, which for a long time has been the way I've preferred to work in Photoshop. I rather liked the result. The pictures felt fresher somehow. I think a dissatisfaction with your own style is something that most illustrators feel at some point or other, and I've certainly jumped about more than most in an attempt to find a perfect formula. This approach made me re-examine the way I added shadow and texture, and I even found myself drawing the roughs in a slightly different way, aware that I could do more than usual with elements such as candle light... if that makes any sense. Anyway, I felt I was using a different part of my brain, which was enjoyable! This new style works very well. Well done for finding a new fresh approach. Really like these Mike. There's a graphic charm about the pictures and I like the way the eye is fooled into thinking that there really are some stuck down/collaged materials, perfectly in keeping with the items you're depicting. Finding a new 'voice' with pictures is something close to my heart at the moment and you give me fresh inspiration. I agree...this looks great! I'd say that your 'voice' is still recognizably that of Mike Brownlow - but you're singing in a different register. How we can explore different registers, or styles is what we'll explore in the December illustrator workshop. We can't help have a voice - it's our identity and I don't think we can change that. But the style or approach can be different...without losing your identity, - and you've proved it!